Early last Monday morning three people were lost in a horrible tragedy. These three were taken far too soon from those who loved them. 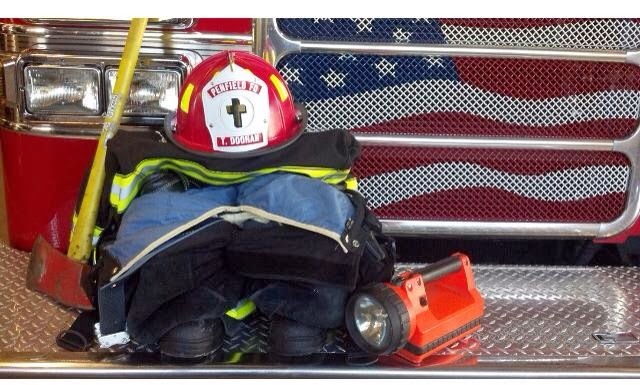 This loss has not only been difficult for the family, but for all those who responded to the call for help. As details emerged early on, it was clear that Tyler Doohan played a heroic role in helping save 6 members of his family. He did this with the courage and valor not found in many people. When it came to saving himself he didn’t. Instead, he found the strength and bravery to try to rescue his grandfather. In doing so, he payed the ultimate sacrifice. Since this tragedy, the word of Tyler’s heroism has spread not only within our local community, but throughout the world. His picture and the story of his bravery were featured on the front page of hundreds of news papers, blogs, and websites. The outpouring of thoughts and prayers from the Firefighting community has been immense. All of these calls, emails, and text messages essentially say the same thing. That Tyler Doohan should be recognized as a hero for his actions during this tragedy. As Chief of the Penfield Fire Company, I hereby bestow upon Tyler Doohan the title of “Honorary Firefighter”. At such a young age, Tyler displayed the courage that most adults do not possess. Tyler accomplished more in 8 years, than most will accomplish in a lifetime. He did not die in vain; instead he showed millions of people an example of what a true hero is. We need more people like Tyler in this world. May he rest in peace and the memory of Tyler stay with us forever. At this time I would like to present the family with a Fire Helmet personalized with his name. 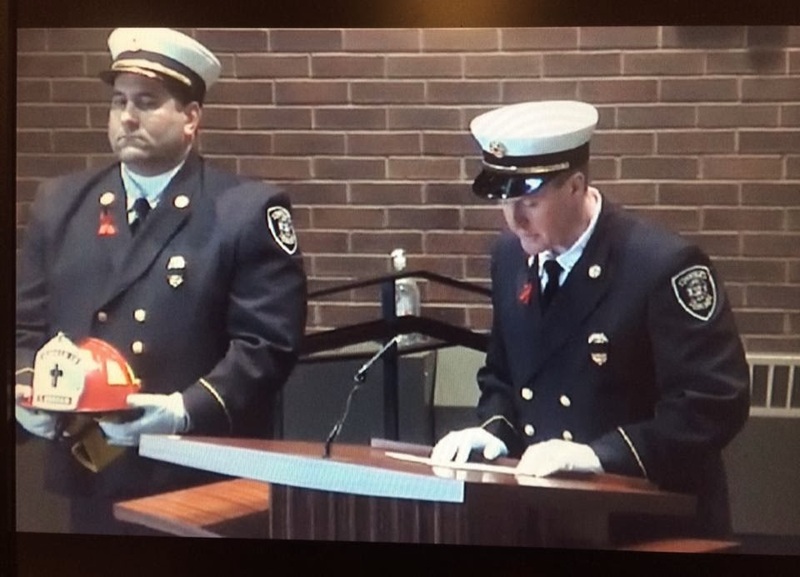 I can only hope that it may give the family some comfort knowing that Firefighter Doohan has entered into the brotherhood of firefighters that have passed before him, and that he will be protected by them for eternity.